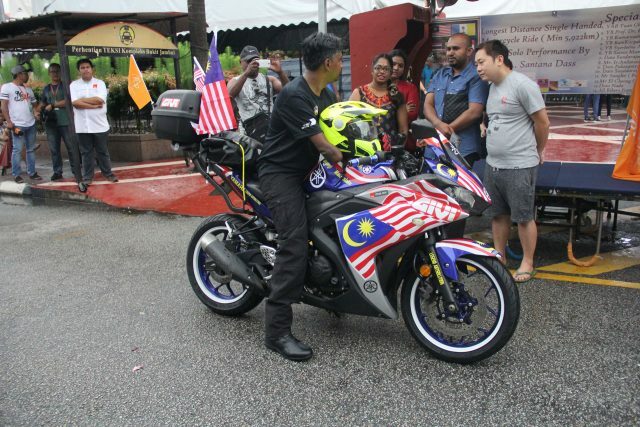 16 Sept 2018 is a historic day for fellow Malaysians and also a double celebration tor Mr. Santana Dass as he started off his journey to embrace the world with his ‘YAMAHA R25’. This is a special ride tor GIVI too as this young Malaysian is a blessed chap who is going to take up the challenge to ride across three countries with his single hand. Without doubt, the 14 days solo ride opened up a new path tor the special needs community to seek out the dreams. 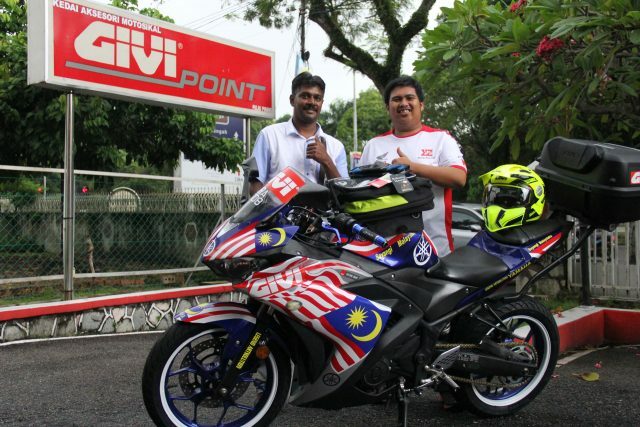 The flag off session took place at Kompleks Bukit Jambul, Pulau Pinang and GIVI had proudly witnessed it last weekend. Along with our moral support, GIVI had also sponsored the single handed motorist with riding and safety equipment such as X.01 Tourer Helmet, Mulebox E43NTL-ADV, rain suits, gloves, cargo bags and tank bags. We stood with pride, when the Jalur Gemilang was waved on this meaningful day! A special Malaysian Day, with a proud Malaysian-born left our nation to pursue his goals. Before leaving, Santana left a meaningful message, where he quoted that, “Disability is not a barrier to get hooked on any impossible projects and what truly matters are the passion and planning towards it”. 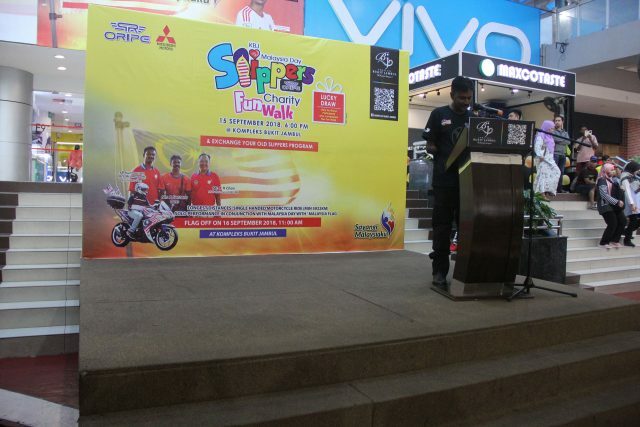 lt is also to be stated here that he had applied to appear on the ‘Malaysia Book ot Record and Guinness World Records’ under the “Human Achievement” category as the “Longest Distance Single Handed Motorcycle Ride”. May your dreams come true soon! Once again, GIVI wishes him a safe journey for the long 5922 km ride! Till then, all the best, Mr. Santana Dass! 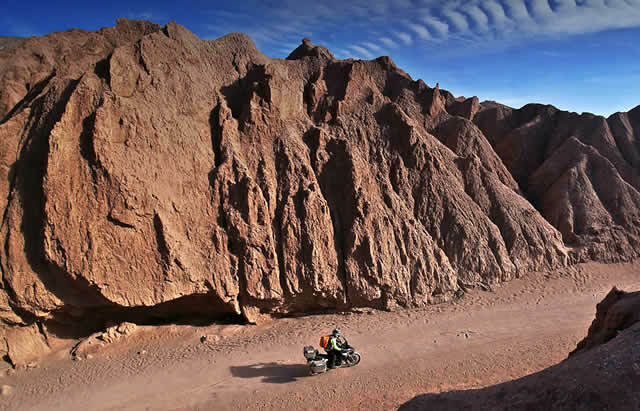 Do “Explore & Enjoy” with GIVI.